For generations, the Ford Motor Company’s Crown Victoria was the vehicle of choice for police officers nationwide. Now the law enforcement motor fleet market is wide open. In addition, there’s more than one kind of cop car. For instance, many large urban agencies have reduced costs and increased efficiency by introducing “smart cars” for things like traffic enforcement. Needless to say, these tiny, plastic-looking electric vehicles are not the kind of thing you want to be in if you’re responding to a barricaded suspect or find yourself in a high-speed pursuit. But it’s always good to make sure there are rules and regs, even if it seems like a spoof from those “Captain Obvious” commercials. 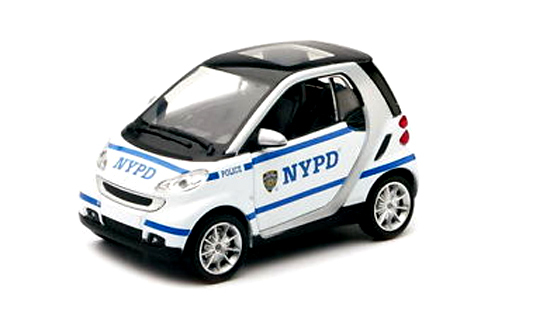 The NYPD has barred Smart-Car-driving cops from engaging in police pursuits, even though the Mercedes-Benz-manufactured vehicles have top speeds of about 90 mph.